It’s a little after ten here in California where we’re visiting our son, and we just got back to our hotel room. I have no interest at all in writing this post. Which is interesting because someone just commented on #76 so it’s fresh in my mind. And that was where I was also dealing with some resistance about posting–and I happened to be writing that post while we were visiting, or after we had just visited, our daughter. When I’m with family, I’m looking out instead of in. So it’s a big leap–much harder–to come here. That’s the beauty of the discipline. You start seeing patterns. I’m glad you keep showing up. It’s really amazing, Anne. Thanks for your support. 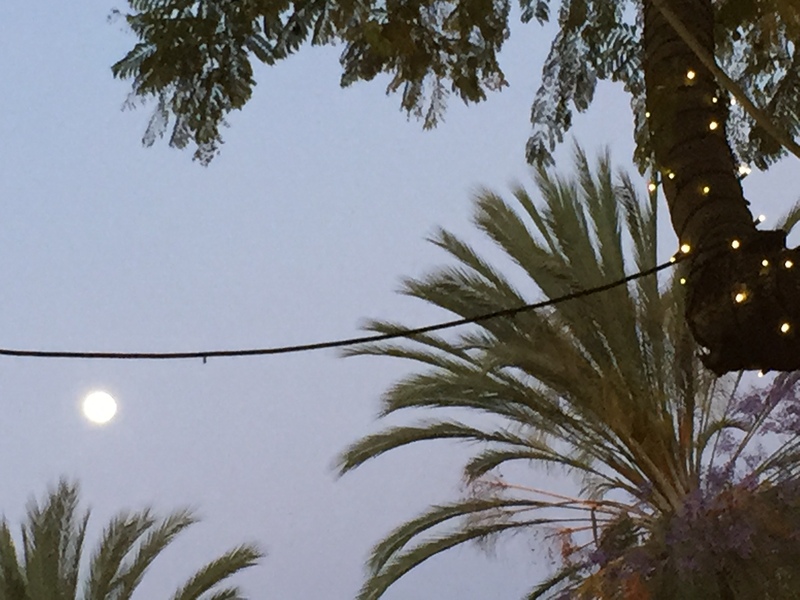 pssst… with Day 108 & 109 now logged… am delighted to be here with you under the full moon! Pray tell… where in California?! Helena, it seems so obvious that family and social gatherings would pull us away from ourselves, which is often a welcome or good thing, but then there’s that leap to get back–fascinating. And funny that you posted 107 twice–at this pace, it’s hard to remember what day we’re on… Under the full moon just outside LA, in Culver City. based in Century City just north of you! &/or a Starbucks latte at Hollywood & Vine! Helena, our days were packed, but i’m happy to know about this bookstore. Thanks for the link!